a Policy Statement that provides accounting guidance related to ADIT. FERC also acted on 46 show-cause investigations it initiated in March under Section 206 of the Federal Power Act (“FPA”), in which it required certain public utilities to revise their transmission rates to reflect the 21 percent federal income tax rate or show cause why such changes are not necessary. Finally, FERC granted Edison Electric Institute’s accounting request for blanket approval for certain public utilities and centralized service companies to record a reclassification of the stranded tax affects resulting from the Tax Cuts and Jobs Act. 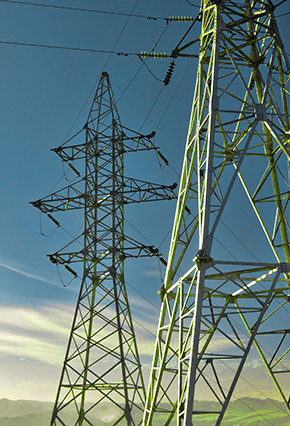 The NOPR proposes to require all public utility transmission providers to revise their transmission rates to reflect the tax law’s effects on ADIT. As FERC explained, the tax rate change will result in a reduction in a public utility’s future tax liabilities so that a portion of its ADIT balances will no longer be due to the IRS, and is thus considered excess ADIT. This excess ADIT is required to be returned to customers through a public utility’s transmission rates. Include a mechanism in its formula rate to reflect any excess or deficient ADIT resulting from the Tax Cuts and Jobs Act, or any future tax rate change, in rate base. FERC did not prescribe a specific mechanism to adjust rate base, but rather will evaluate any proposed changes on a case-by-case basis. Include a mechanism in its formula rate which adjusts its income tax allowance by any amortized excess or deficient ADIT. Given the variations in existing rate templates and formulas, FERC did not purpose a specific method (e.g., the requirement of a single line item) to return excess ADIT. Flow back protected (i.e., plant-based) ADIT “no more rapidly than over the life of the underlying asset using Average Rate Assumption Method” or, if necessary, an alternative method. FERC did not propose a flow-back period for unprotected (e.g., non-plant based) ADIT; FERC would address that issue on a case-by-case basis. Include a new worksheet in its transmission formula rate that tracks on an annual basis information related to excess/deficient ADIT. FERC did not propose a pro forma worksheet; however, the worksheet should set forth, at a minimum: (i) how ADIT was re-measured; (ii) the accounting of excess/deficient ADIT amounts in Accounts 182.3 and 254; (iii) whether those balances reflect unprotected or protected ADIT; (iv) the accounts to which excess/deficient ADIT will be amortized; and (v) the amortization period. Notably, FERC did not propose that such worksheets be populated at the time of initial filing. However, the “function” of the worksheet must be clear. For public utilities with stated transmission rates, FERC proposes to require each entity to: (1) determine the excess (or deficient) ADIT resulting from the tax rate change based on ADIT amounts approved in their last rate case; and (2) return this amount to (or recover this amount from) customers. As noted by commenters to FERC’s underlying Notice of Inquiry, the calculation of any excess ADIT and any flow-back mechanism is likely to raise a number of challenges, both for the public utility and any ratepayer seeking to verify the utility’s methodology. The NOPR is not clear whether the compliance filing will be required to take the form of a single-issue stated rate change under FERC’s authority under FPA Section 206. FERC proposes that all public utilities with stated or formula transmission rates submit a compliance filing addressing the above requirements within 90 days of the effective date of any final rule in this proceeding. Comments on the NOPR are due 30 days from the NOPR’s publication in the Federal Register. FERC issued a Policy Statement regarding the treatment of ADIT for both accounting and ratemaking purposes. The Policy Statement also addresses the accounting of ADIT following the sale or retirement of an asset after December 31, 2017. This Policy Statement is applicable to public utilities, natural gas pipelines, and oil pipelines. Clarifies that following the sale or retirement of an asset after December 31, 2017, in cases for which the excess or deficient ADIT did not transfer to the purchaser of the asset, any excess or deficient ADIT associated with an asset must continue to be amortized in seller’s rates. That is, the public utility must continue to amortize any excess or deficient ADIT recorded in Account 254 or 182.3, respectively, to Account 410.1 and Account 411.1, even after the asset is sold or retired. As a result, any related excess ADIT will ultimately be flowed back to ratepayers. Finally, in order to provide transparency regarding the accounting and rate treatment of amounts moved from ADIT accounts, public utilities must disclose in their FERC Form No. 1 or 1-A filings (i) the FERC accounts affected; (ii) how any ADIT accounts were re-measured; (iii) any amounts associated with the reversal and elimination of ADIT balances in Accounts 182.3 and 254; (iv) the unprotected and protected ADIT amounts; (v) the accounts to which excess/deficient ADIT will be amortized; and (vi) the applicable amortization period. If you are interested in additional information regarding the FERC issuances discussed above, or would like to discuss the implications of these issuances, please contact Doug Smith, Gary Bachman, Kelsey Bagot, or any member of the firm’s Electric Practice at (202) 298-1800 in Washington, D.C. or in Seattle at (206) 623-9372.